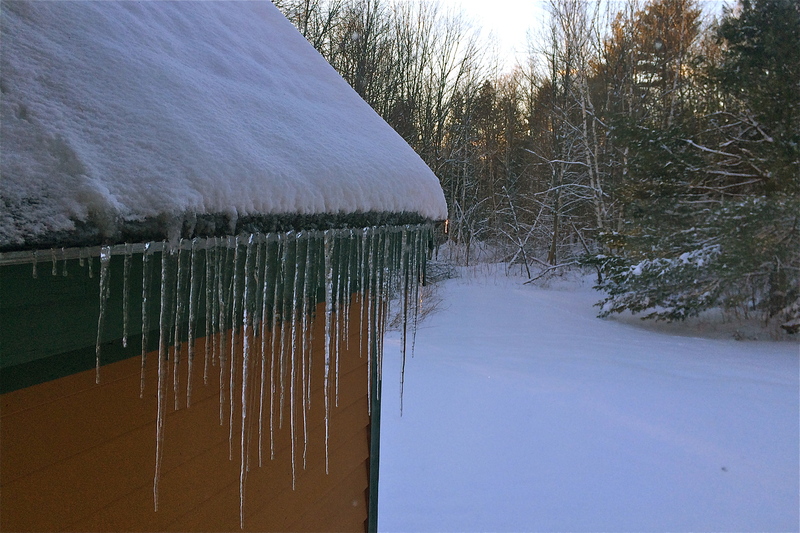 There are a surprising number of things to remember now that Spring has finally come to Maine [the snow that fell up north this morning doesn’t count – that was practically Canada, right?]. I thought I would put these things together in a blogger-friendly list so that you, oh reader, would be sure to get through this season with few ill-effects or embarrassing moments. Never, ever walk in long grass. Or medium grass. Or short grass. If you walk in grass you will, inevitably, get ticks on you and then you will catch a list of horrifying diseases. Some people say it is ok and that all you need to do is check yourself for ticks after you return from the fields. This is not good enough. So, next time you see a luscious grassy knoll that it would be oh-so-romantic to go and sit on with your book and your glass of iced tea – don’t! Nothing kills the romance like ticks taking up residence behind your ears. Do not, under any circumstances, attempt to photograph the birds eating on your birdfeeder on your iPhone through your living room window-screen. Instead of the bright colors of the Blue Jay, or the fuzzy feathers of the Chickadee, you will see crisscrossing lines and fluffy lumps in the background. If you try to photograph by lifting the screen you will kill two birds with that stone – you will scare the birds away, and you will let the blackflies in. Don’t even get me started on blackflies. There is a bite on my wrist and if I think about it too much it will start itching. 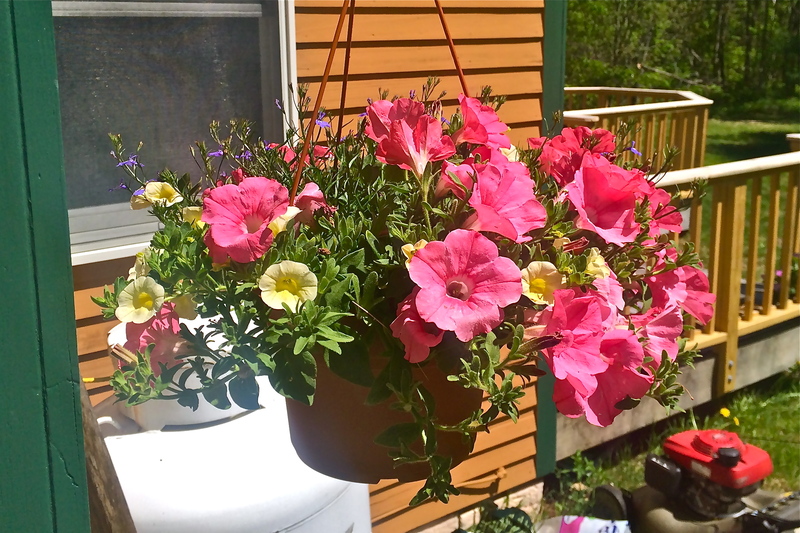 Planting flowers is a very exciting aspect of Spring in Maine. If is important to wait to plant your delicate little flowers, or hang your hanging baskets, until after the last frost. The last frost will likely be mid-July. Consider getting a space-heater hooked up under your hydrangeas so as to thaw your soil enough to plant pansies before they die off. Just because it is 42 degrees Farenheit outside does not mean that you will not get sunburned. Invest in a miniature bottle of sunscreen to keep in your purse. Or resign yourself to ¾ cardigan-length sleeve tan and hair-part burning. Just because you have goose-bumps does not mean that your goose-bumps are not burning. I speak from experience – putting sunscreen in your hair is better than getting a peeling scalp. Not much better, but better. Take time to mentally prepare yourself for the influx of tourists who will arrive over Memorial Day weekend. The line at the coffee shop will be longer. The line at the lobster shack will be longer. The line on Rt. 1 in Wiscasset will extend from Brunswick to Newcastle. There will be no escape. 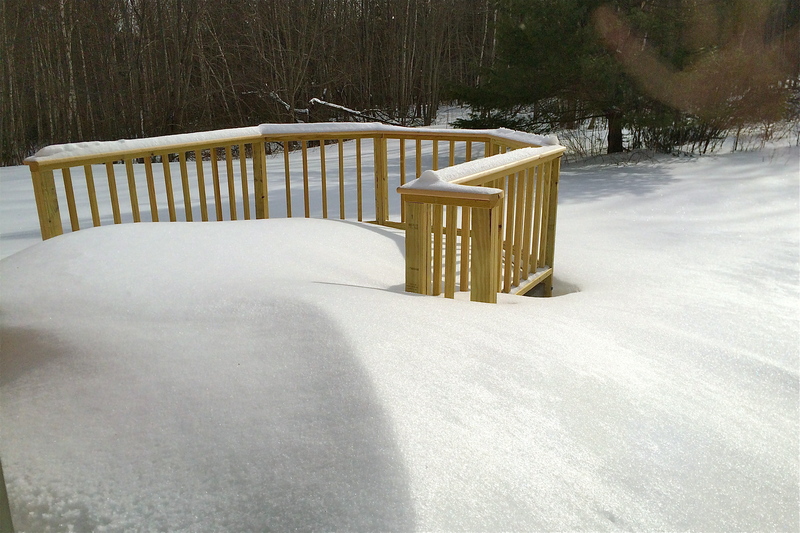 Spring in Maine signals one thing: winter is coming. Prepare for the upcoming winter by stocking up on body fat – this will keep you warm during the long winter months when the snow prevents you from ordering pizza or picking up a slushie. Consider copious amounts of lobster dunked in only the richest, garliciest butter. Become a regular patron at your local home-made ice-cream stand. Eat blueberries by the carton and get your mother’s recipe for strawberry shortcake. 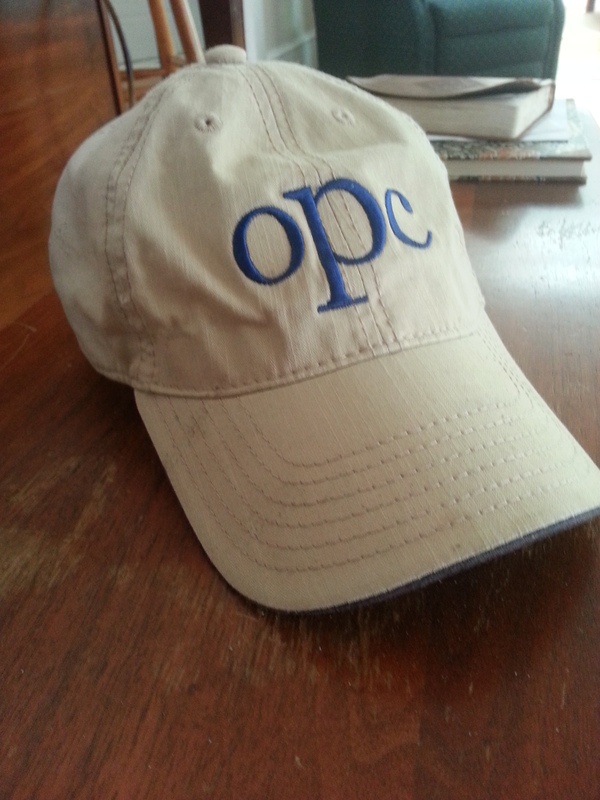 Supporting local breweries and wineries goes without saying – I know you do that. 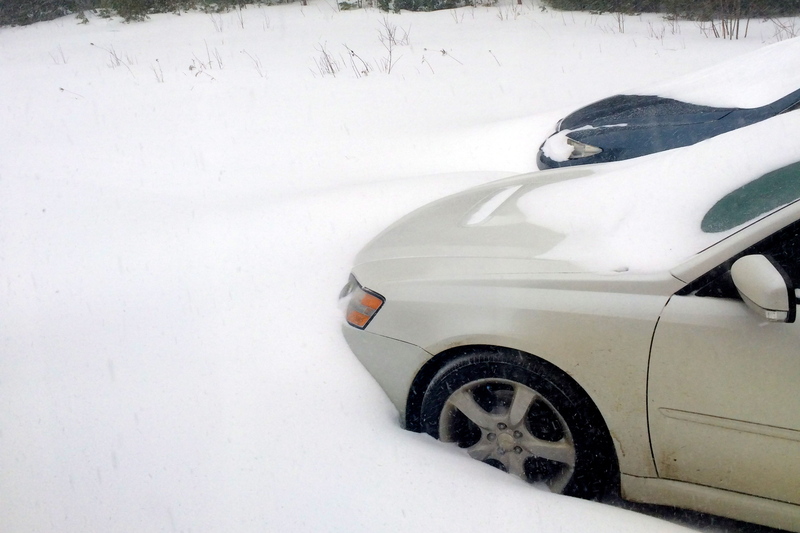 Make sure that you remove your snow tires before it becomes time to put them back on again. You will be amazed by the soft humming noise your car will make with the normal tires back on. Your ears will appreciate the lack of deafening roar as you travel to and from the Farmers Markets. Store the snow tires in your basement. Don’t wait until you drive off the road in a snowstorm before putting them back on again. Don’t ask me how I know that. I just do. Keep copious amounts of cash on hand for when you accidentally come upon an unexpected Yard Sale or an unexpected ice-cream stand. Yard Sales are a peculiar animal – they usually sell the exact thing you are looking for 2 minutes before you arrive. They say they begin at 8:00am, but you have to account for the time it takes to get there after parking on a hill behind the line of professional Yard Salers who have been camping out since the night before. Also. It’s cool to look at other people’s stuff. The final thing to keep in mind whilst surviving your Spring in Maine is don’t forget to stop and smell the roses. Apparently the pink roses we see growing wild up and down the Maine coast are invasive – so you’ll have plenty of opportunities to smell them while you’re sitting in traffic trying to get into Bar Harbor, or while you’re searching for some anti-itch cream after a run-in with a horde of angry blackflies, or while you’re checking yourself for ticks after an ill-advised walk in the woods. Although this may not be an exhaustive list of things to do to survive the Spring in Maine I hope that you will find it helpful and not too much of an encumbrance. I never felt like stocking up on strawberries and ice-cream was too hard a task but, then again, you’re not me. There are few things I want more right now than a haircut. I haven’t had a haircut since August. That was 6 months ago. My hair is forming it’s own cult. It’s starting a band. It’s pouf-central-station. 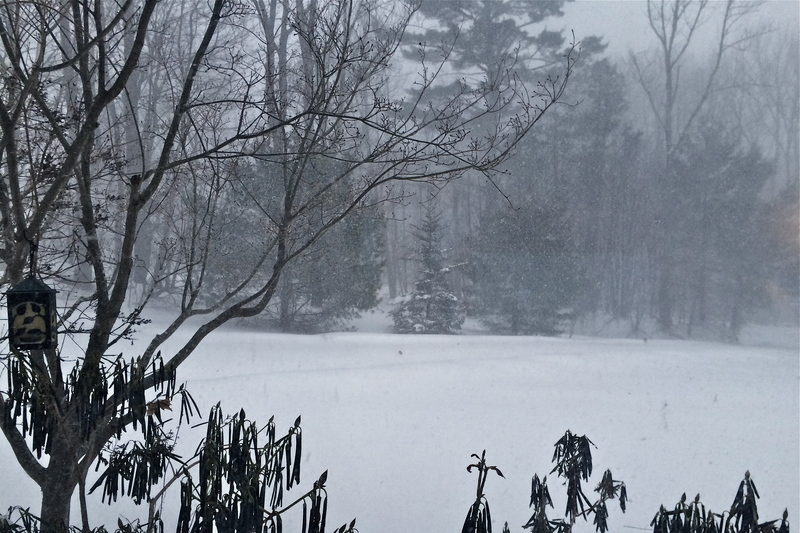 It would be really awesome if there was somewhere in Rural Maine that delivered food in snowstorms. Like, if there was a truck with a plow attached that would plow your driveway and deliver your sweet’n’sour chicken and teriyaki beef-on-a-stick. Sorry Tim, it’s sandwiches again tonight. Who cooks on a snow day? Except if it’s baking. Snow days are excellent days for baking cookies. And for watching tv. And for catching up on your facebook stalking and pinterest pinning. And for finally deciding what color you’re going to paint your bedroom. And for putting items in online shopping carts. And for making a dent in that pile of laundry. And for inventing new outfits. And for trying to do that cool cat’s-eye eyeliner trick you saw on the internet. And for texting your brothers funny gifs at 6:45am. After you’ve finished buying a house you will collapse into your new-to-you couch. You’ll likely sleep for three days straight. The next morning, despite your scrubbing, your carpet will look pretty much the same. You’ll move a rug over to cover the worst spots. As time passes you’ll become used to the smell of gas oozing out of your stove every time you cook. You will be reminded of this problem when a fiery “whoof” explodes from your stove while you have the church youth group over for a party. You will pretend that this does not freak you out and, well, fires happen all the time, yo. You’ll measure rooms and do math and realize that to put that lovely tile flooring down in your bathrooms and kitchen will cost an entire month’s salary [that’s you AND your husband’s salaries]. And you will begin to think that linoleum, really, you know, isn’t all THAT bad, sometimes it even looks like tile [if it’s in the right light]. But, despite all the hardships caused by the fact that you can’t find your husband because your house is too big, and you have to search two bathrooms and a bedroom and a closet before you know if you’ve found all the laundry, and despite your discovery that floor lamps are typically ugly and always expensive, you’ll take down your Christmas tree, carry it outside, and throw it in your woods. And you’ll celebrate that fact. [Last year you had to saw your Christmas tree in half, squeeze it in the back of your sedan, and drive it to the dump in two trips]. 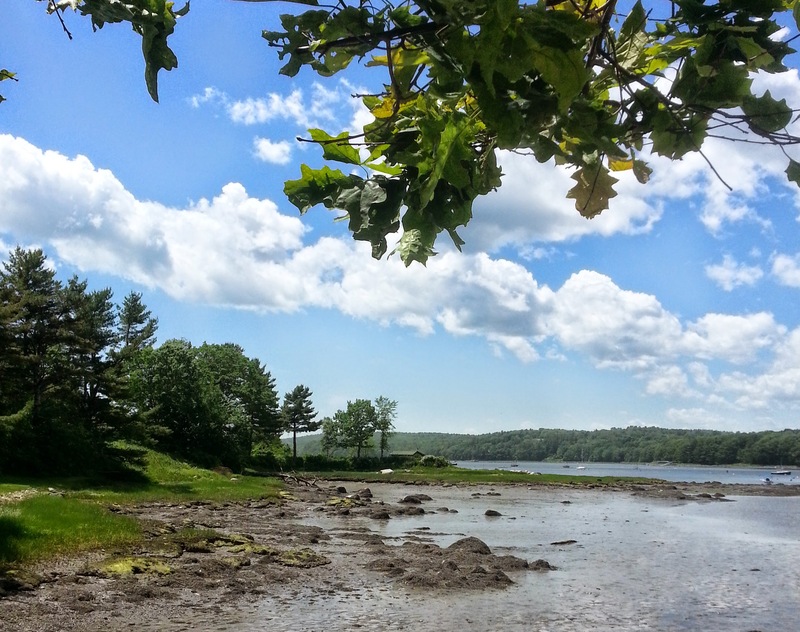 Stepping out my front door into Tourist-town, Maine is a dangerous mission. The other day I walked into town to our local “we’ve got it all” store. I heard multiple foreign languages and nearly got run over by a driver with out-of-state license plates. Cars did not stop for me to cross at the cross walk. I bought my husband a sweater in a lovely dark blue color. It had the name of our town on it. Tomorrow I’m going to return it. He won’t wear it because it has the name of our town on it. It’s a tourist sweater. Town-named sweaters are for tourists. 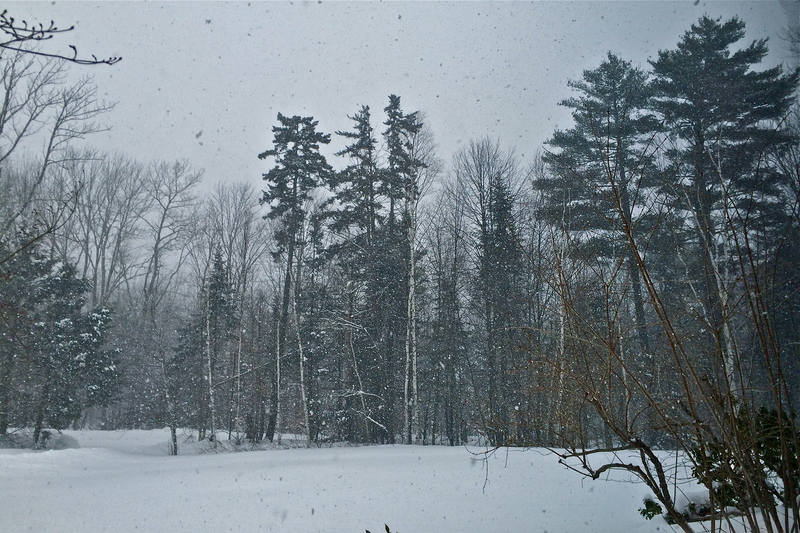 A strange thing happens to Maine in mid-May. On Friday evenings Rt. 1 is jam-packed with cars coming into town. On Sunday night the same road is full of cars leaving to go back to reality. One of the good things about living in a tourist town year round is that I get to know all of the special secrets. Like where to get the creamiest ice-cream, the coldest beer, and the best-value pair of shoes. I know that it is not smart to try to park in town the day the pirates invade [yes, you read that right – our town is invaded by pirates, complete with pirate ships and cannon fire, once a year] or the day of the pumpkin festival. I also know that the less-expensive pizza place has the best pizza and if you buy enough pizza there during the world cup that by the time you reach the semi-final games the owner will know you by name, accept the 3 credit cards you bring for payment, and give you free baklava. As much as we like to complain about tourists, as much as they clog up the roads and make waiting in line at the grocery store a tiresome chore, as much as they make it impossible to get the locally-made pastries for 50% off after 4:00pm, as much as they block our driveway for parades, as much as they drive slowly past any scenic hill, lake, cliff, or ocean-view, as much as they go down one-way roads the wrong way, as much as . . . well, you get the idea. As much as they make our lives a little more complicated, secretly, I love them. I feel proud to live in a place that people consider their personal Promised Land. I like to see them flock around and get excited over lobster rolls and hearing loon-calls. I like that they want to come to my town and do watercolors across from my house. I like seeing them discover the best pie they’ve ever had at a place where I can eat three days a week and am guaranteed to run into someone I know. I like that they Instagram the view that I can see just a few steps from my door. 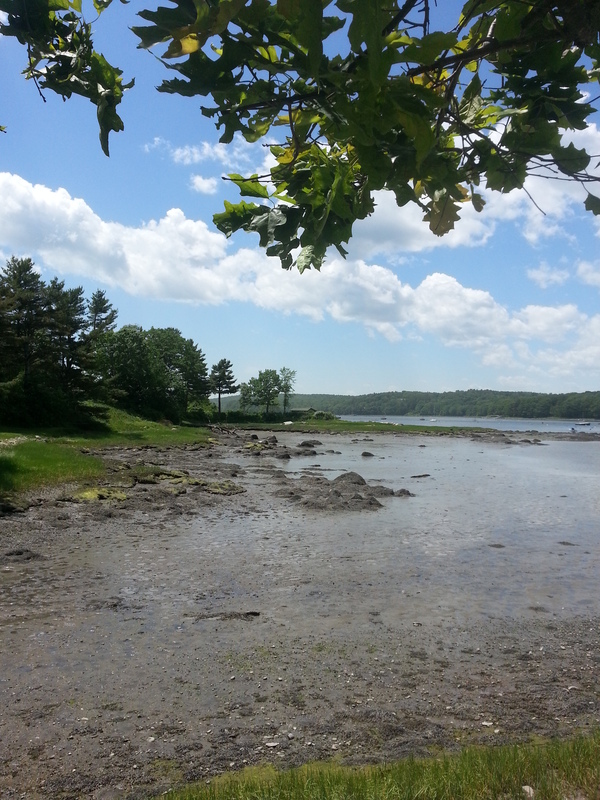 Maine is a beautiful place and I like the reminder that the tourists bring that it is an idyllic place to live. What I didn’t mention before about my husband’s sweater, the one that had the town name on the front, is that the other reason he thought it was tacky was because I got one too. Husbands and wives can’t go around wearing the same sweater, even I know that, I just got a bit excited in the store. Mine is dark green and has our town name right on the front. It might be a little bit cheesy, but I’m not returning mine. We really love living in Maine and I have been planning what to do with our mini garden since we moved into this house. This has been our garden for the past month [since the snow melted]. Weeding and organizing this area has been a little bit intimidating. I think the grass from around the corner was attempting to take over and Maine grows rocks, so I knew I had my work cut out for me. 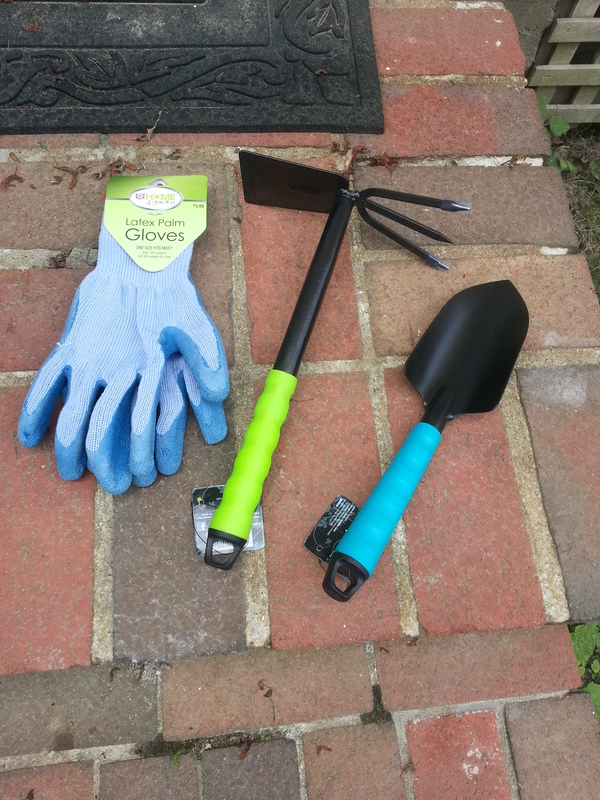 I acquired some handy-dandy garden tools. They were very useful in chopping away at the tough grass. Then, once the majority of the weeds were gone we added some compost and mixed it all in nicely. I should pause here to say that I have never gardened before. I might have done lots of things wrong. Our dirt turned out to be very clay-ey and I have no idea what that means and was too excited to plant flowers to stop and figure it out. I got miracle grow. That’ll take care of any problems, right? Cuz it makes miracles. Mmhmm. I got really muddy too. 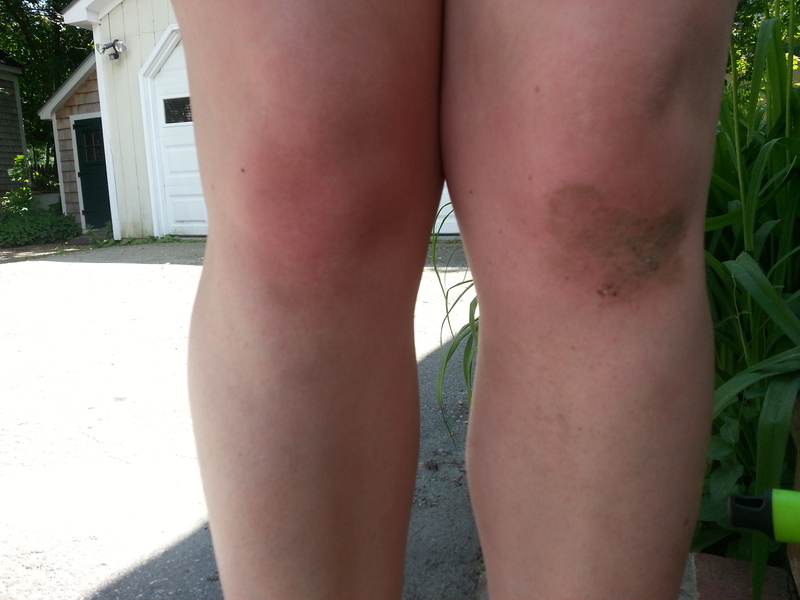 Here are my knees. Then my lovely husband helped me dig the holes for the perennials. 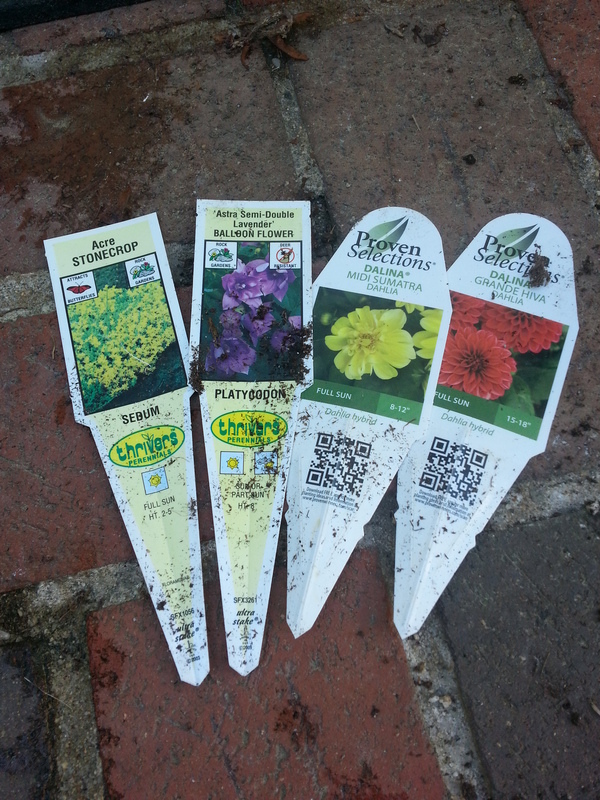 I got several different kinds of the perennials. 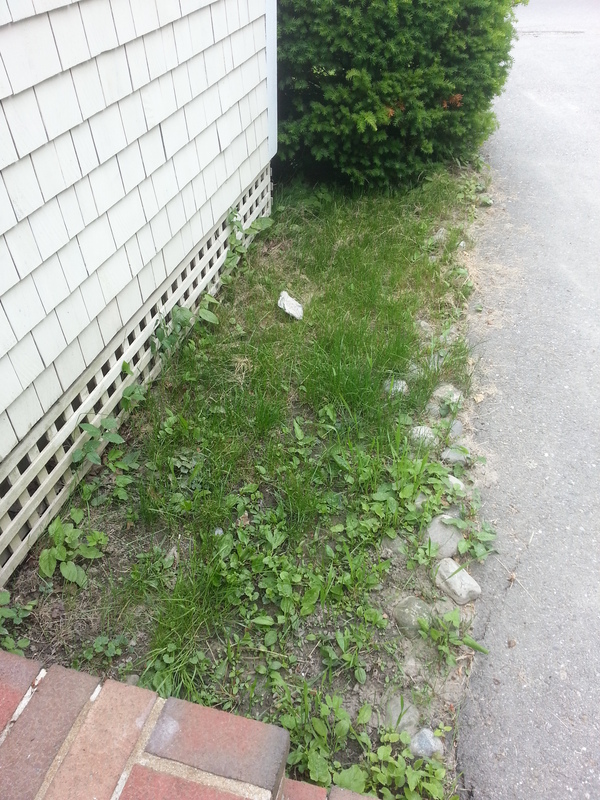 I got sort of grassy ones that [in theory] are ground-covering plants with little flowers. 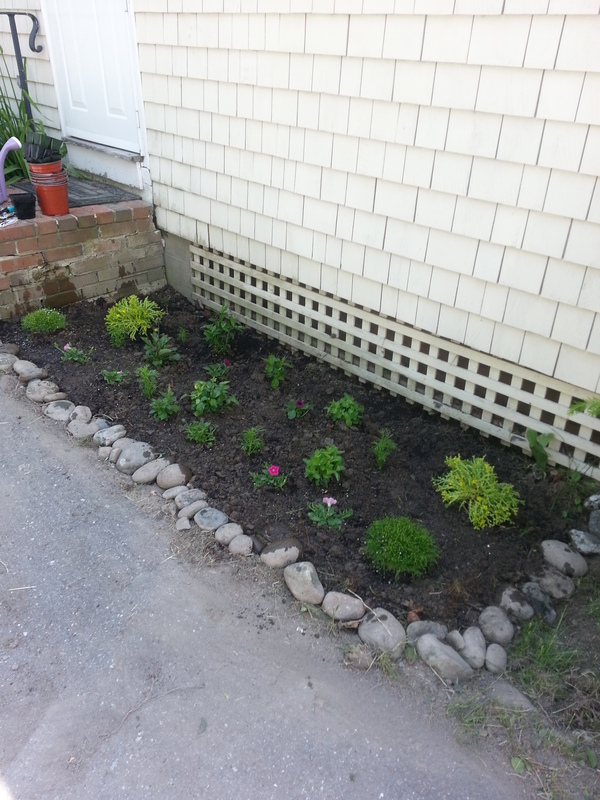 I also got some taller perennials that I put in a row toward the back of the flower bed. 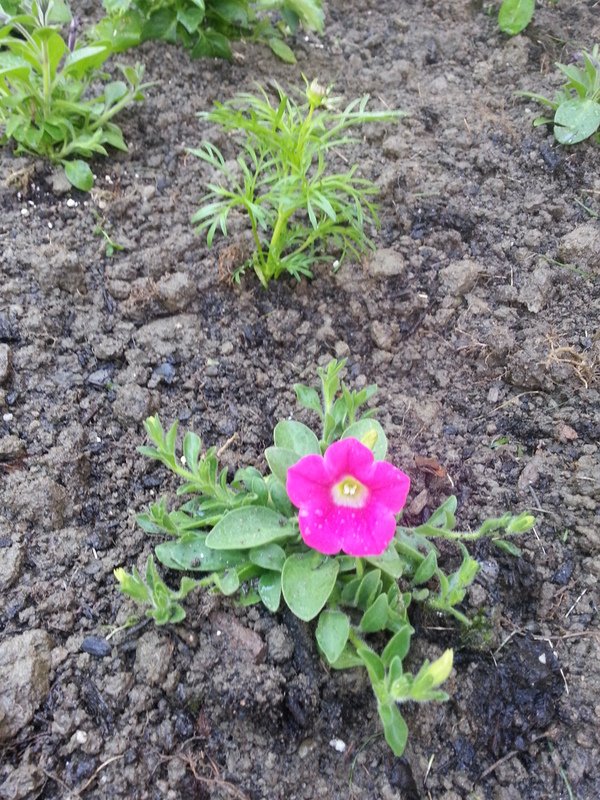 I also planted some annuals that I chose according to color. Pink and purple and yellow. I watered it all violently with the miracle-grow water and then did some regular water too. Just for luck. 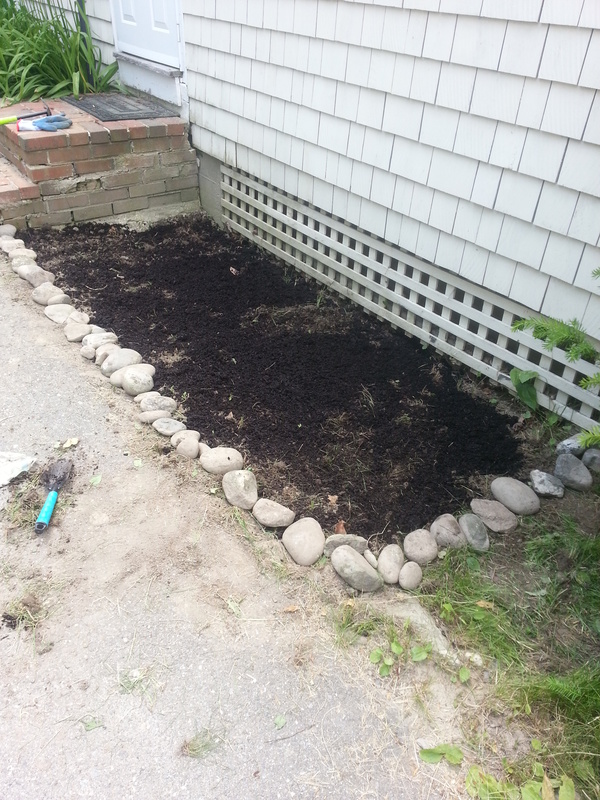 We lined up all the rocks that we dug out of the dirt into a nice edging. Didn’t I mention Maine grows rocks? Well, it does. But hopefully flowers too. And here is the final product! I am so excited to see how it turns out over the next few weeks. On my wedding day I was hyper. I didn’t have cold feet. I wasn’t up all night stressing out about the forecast rain [I was up all night – but I was being excited, not stressed], I didn’t forget the ring, I didn’t tear my veil. I mostly just grinned. In fact, I was so busy grinning that I forgot that I was supposed to eat a donut. In fact, I didn’t eat anything at all [well, one tortilla chip and a piece of dark chocolate]. 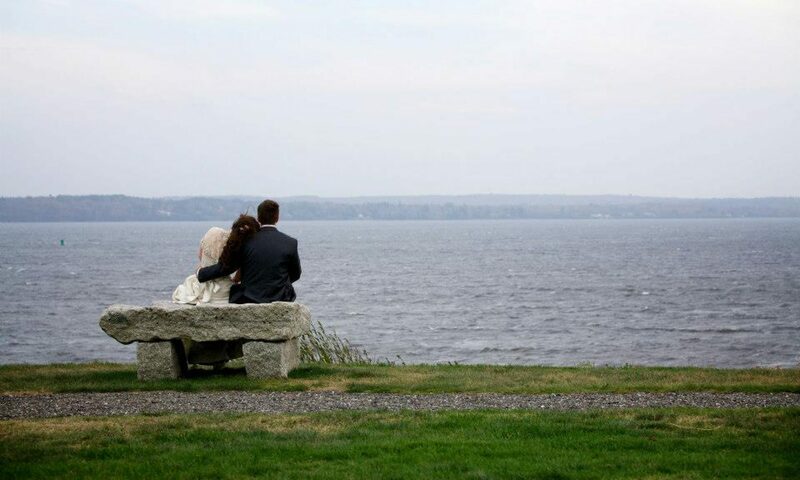 I felt nervous when it came to the walking down the aisle bit, just in case I tripped, or an elderly guest fainted, or it started to rain [all of which happened later, but not yet]. Dad and I made a deal that we wouldn’t make eye contact with any of the guests on the way down the aisle. That way we wouldn’t cry, or laugh, or forget to walk in time to the music. We did ok – minimal eye-lock. My bouquet felt really heavy. My first sight of Tim was of him peeking his head around the photographer to see me coming. Then I stopped being nervous. After that the service is sort of a blur. I remember saying the vows and realizing how heavy my dress was. I remember worrying in case I cried at any point because I’d forgotten my lace-embroidered handkerchief. I don’t remember the kiss. I know it happened, but I don’t remember it. It’s ok though; I’ve got the picture now. I know that we did photos outside with our families. My brothers and dad sang an awesome song for us [check it out: http://www.youtube.com/watch?v=9nxedZDgPnc]. There were speeches and a solo. There were cupcakes. Then Tim and I went in a limo to the dinner reception. There was champagne [note: do not drink 2 glasses of champagne in a moving vehicle on an empty stomach]. There was wind at the reception. We did dramatically wind-swept photos outside. It was gorgeous. We ate amazing food and drank delicious drinks and talked and laughed with our family and friends. It was perfect. It was a blur. On a regular basis Tim and I say something like, “wow, we got married” and try to remind ourselves that it actually is true. It was a blur, but it was a really bright, glowy, happy blur – full of love and joy.